Linn launches Majik DS-I all-in-one network player | What Hi-Fi? 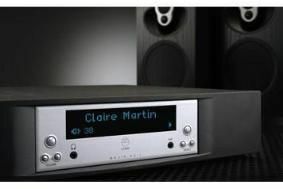 The £2500 unit combines a DS player, able to play music streamed over an Ethernet connection, with a multisource digital/analogue preamlifier and 2x100W Linn Chakra amplification. Powered by Linn's latest Dynamik power supply, the Majik DS-1 is compatible with UPnP media servers and AV 1.0 control points, and can play FLAC, ALAC, WAV, AIFF, AAC and MP3 audio formats at resolutions up to 24-bit / 192 kHz. The onboard DAC also upsamples lower-resolution inputs for enhanced audio quality. It also has six digital inputs, three optical and three electrical, and five stereo analogue inputs including a moving magnet phono input, which can be reconfigured as a further line-in, or upgraded to moving coil operation. One auxiliary input is provided on a 3.5mm socket on the front panel. Outputs are on conventional binding post speaker terminals, a set of preouts and a headphone sockets, and there are also line audio and electrical/optical digital outs. The Majik DS-I is available now, in either black or silver.